One of the many things that makes college football special is its rivalries. Games that feature 364 days of bragging rights or hard feelings and one all-important clash on the field come football season. There are plenty of rivalry games, and each one is important in its own way. These 10 FBS rivalries, however, have been around the longest. This list is changing, though, thanks to realignment and, unless things change, there will be some new entries in the next few years. If you’re wondering, the oldest rivalry in college football belongs to Lafayette and Lehigh, who have met a whopping 151 times. The other oldest SEC rivalries not on the top 10 FBS list include Ole Miss/Mississippi State (112 meetings), Tennessee/Kentucky (111) and Tennessee/Vanderbilt (110). This is a rivalry that began in 1892 and was played every year from 1906 until November 2010. At the time, it was the 105th consecutive meeting — the longest uninterrupted series in college football. That was Nebraska’s last year in the Big 12 before joining the Big Ten, and the series record has been stuck in favor of the Cornhuskers at 91-23-3 ever since. “The Big Game” was first played in 1892, a 14-10 win for Stanford. The Cardinal holds a 61-46-11 overall mark against the Golden Bears. 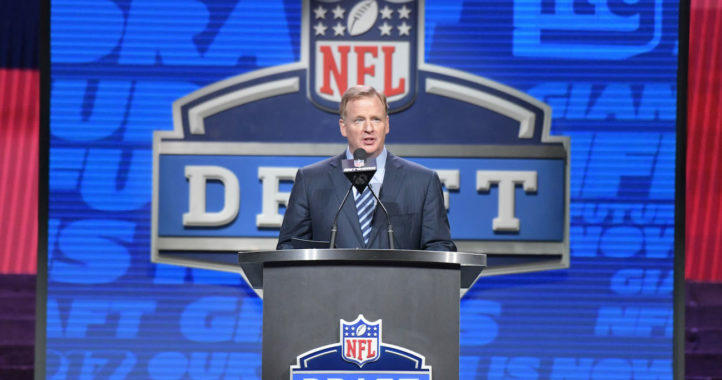 Even though the Big Ten split the teams into different divisions after the 2014 season, the league stipulated that the schools will still meet each year. Purdue leads the series with a 72-40-6 mark. The two Lone Star State rivals first met in 1894, and the schools met every year between 1915 and 2011 before Texas A&M left the Big 12 to join the SEC. Despite pleas from fans, and a bill introduced in the Texas State Legislature that would require it, the teams have not met since. The Longhorns hold a 76-37-5 advantage over A&M in the series. “The Civil War” is the West’s oldest rivalry, getting its start in 1894. Oregon has had the better of the series, with a 63-46-10 mark, but the game has always evoked plenty of passion from the respective fan bases. In 1910, after a 12-0 Oregon win on the road in Corvallis, fans argued all the way to the train station where Oregon fans were planning to make the trip back to Eugene. Oregon officials accused Oregon State fans (the school was known as Oregon Agricultural College in those days) of hooliganism, offending OAC enough to force a cancellation of the planned 1911 meeting. “The Deep South’s Oldest Rivalry” began in February 1892 and the schools have met almost every year since the turn of the 20th century with only three years being lost to World Wars. This series couldn’t be much tighter with Georgia holding a 56-55-8 edge over the Tigers. “The Border War” is another storied rivalry that was sacrificed on the altar of conference expansion. The first game between the schools was on Halloween in 1891, and like Georgia and Auburn, there hasn’t been much separation between the schools in all of those meetings. Depending on which school you ask, the series is either 57-54-9 or 56-55-9 in favor of Missouri. The 1960 game was won on the field by Kansas, who was later deemed by the conference to have fielded an ineligible player. Kansas (and the NCAA) record it as a win, while Missouri records it as a forfeit. It may be a while before any more numbers are added to the ledger, as the schools have not met since 2011 when Missouri joined the SEC. This series began with the first college football game in the state of Ohio, a 0-0 tie in 1888, and is currently the oldest non-conference rivalry in college football. The schools have met every year since 1945. The schools have played for “The Victory Bell” (in some form or another) since the 1890s, and Miami leads the series 59-54-7. “The South’s Oldest Rivalry” began in 1892 with the schools splitting two meetings. The Tar Heels and Cavaliers have played each season since 1919, and North Carolina holds a 62-54-4 edge in those meetings. The series was much tighter, but North Carolina has reeled off six straight victories, including a 26-13 win last fall in Chapel Hill. Virginia won the four meetings before that to trim the Tar Heel lead in victories to two. This classic Big Ten rivalry has been going on since 1890, and “Paul Bunyan’s Axe” has been the prize since the late 1940s. The teams have met every year since 1907, and have only missed one chance to meet since 1890. President Teddy Roosevelt suspended college football rivalry games due to safety concerns in 1906, otherwise, this series would be uninterrupted. It’s been tight on the field as well, with Minnesota holding a narrow 59-58-8 advantage over the Badgers. Wisconsin, however, has won 12 straight games in this series to close the all-time gap. Randy Capps is a contributing writer for Saturday Down South. He covers SEC football, South Carolina and Georgia. Auburn vs Georgia is so underrated. I agreed, but I think it’s because it has been overshadowed of late. 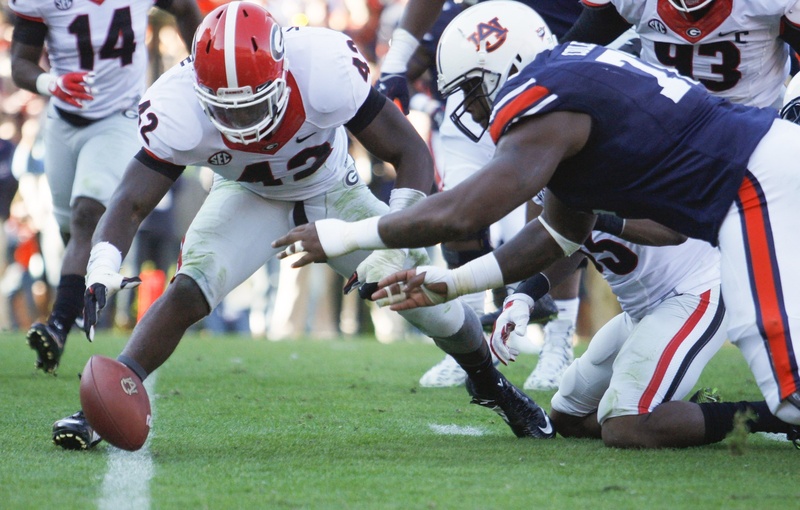 Auburn vs Bama has had the limelight and UGA has been more focused on the east. With Carolina having become a threat over the past decade and the rivalry with UF finally going from UF always winning to back to a real rivalry by the time Auburn has kind of become a second thought. There are some great moments from both teams from that series for sure. I think it’s mostly the Iron Bowl and the balance of power (or lack of) between the East and West. Gives people an excuse to dismiss the Deep South’s and push it down in the rankings so we don’t have one team with two of the top 4 or 5 rivalries but anything lower than that is underrating it. The west wasn’t dominating until ~2008. Between 1992-2007 it was the East driven by Georgia, Florida, and Tennessee that was dominating the SEC. Between 92-07 the west did win the Sec 6 times in that 16 year span. Currently the west has won 7 straight. That never happened between 92-07. I didn’t diminish it and nothing I said was incorrect. The east didnt win 7 straight. And to be honest you should really credit Florida with that success as UGA has only won the conference twice since 1982. 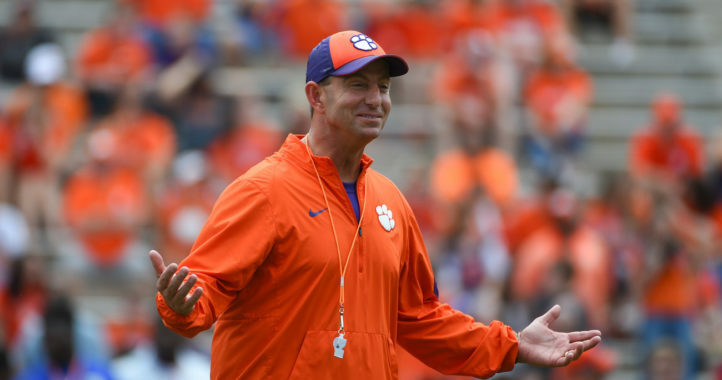 South Carolina/Clemson would be at 120 meetings if it wasn’t for a 7 year hiatus in 1902. A full blown riot after a Gamecock win over a Clemson led John Heisman team created a temporary stop between these two rivals. Fans with bayonets drawn toward each other is a little more ‘Clean, Old-Fashioned Hate’ and crazier than the garbage with Harvey Updyke and teabagging in Wendy’s. Really? First off, the teabagging was in Krystal’s and that was after they beat LSU for the National Championship which is one of 5 that the Iron Bowl has produced in 7 consecutive Championship level appearances with 6 SEC titles between them and 3 Heisman trophies and 5 finalists. Good luck with that 7 year hiatus thing though because the Iron Bowl was 6x that and required State legislature intervention to end it after 42 years. Every argument you’d have about Clemson/SC is dwarfed by the Iron Bowl. It’s a good rivalry but there’s this thing called reality. Man, the overly-sensitive crowd has found it’s way into southern culture. I wasn’t stating that the rivalry of South Carolina and Clemson tops the Iron Bowl. I was simply stating some facts that are often ignored/missed when talking about long-running rivalries. How is the second longest uninterrupted rivalry in college football not even on your list, SDS? Shame on you. They went purely by games played. If not for the 7 year hiatus, South Carolina/Clemson would be at 120 games played. Yeah they arent going by year started because Tennessee vandy started same year as uga auburn.